A teenager has been remanded in custody charged with assaulting his mother, threatening to damage her home and kicking her dog. 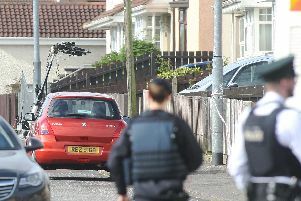 The 17-year-old, who cannot be named due to his age, appeared at Londonderry Magistrates’ Court charged with a total of seven charges including assault, causing unnecessary suffering to a dog, threatening to damage property and four counts of criminal damage. A police officer said he could connect the youth to the charges. He was remanded in custody to June 7.